The striking Paul Robeson Center for the Arts, designed by Michael Graves, part of the tour (click to expand). March 12 will mark the anniversary of the death of the internationally-famous Princeton architect and designer, Michael Graves. One of the key figures in post-modernist architecture, Graves made his home in Princeton from 1964 till his death in 2015. Just before Graves passed away, he sent an ‘abbreviated guidebook to his hometown’ to Washington Post reporter Andrea Sachs. The full list of sites on this tour is available at the Post website here. It includes sites such as Graves’s home, ‘The Warehouse’, on Patton Avenue, which he renovated over many decades. 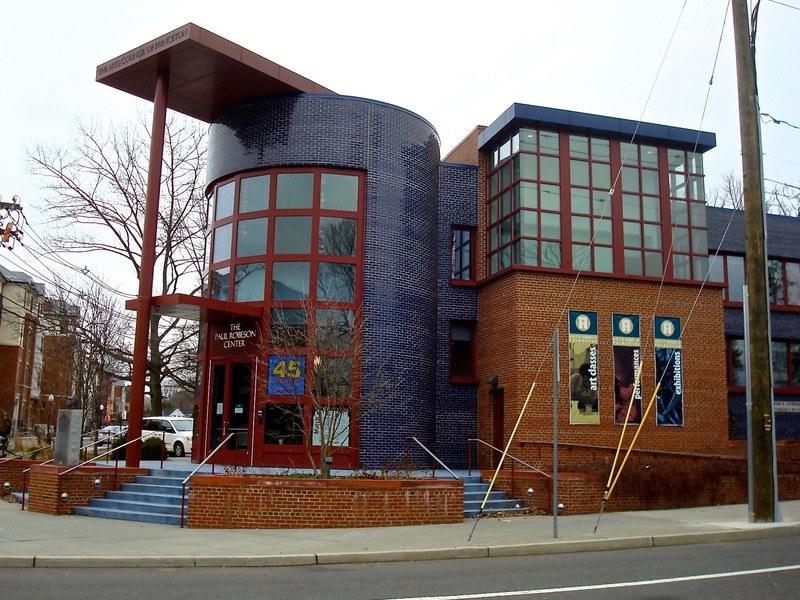 It also includes other Graves-designed buildings, such as the Paul Robeson Center of the Arts on Witherspoon Street (see photo above). But the tour also includes many local buildings and sites that Graves just found inspiring. 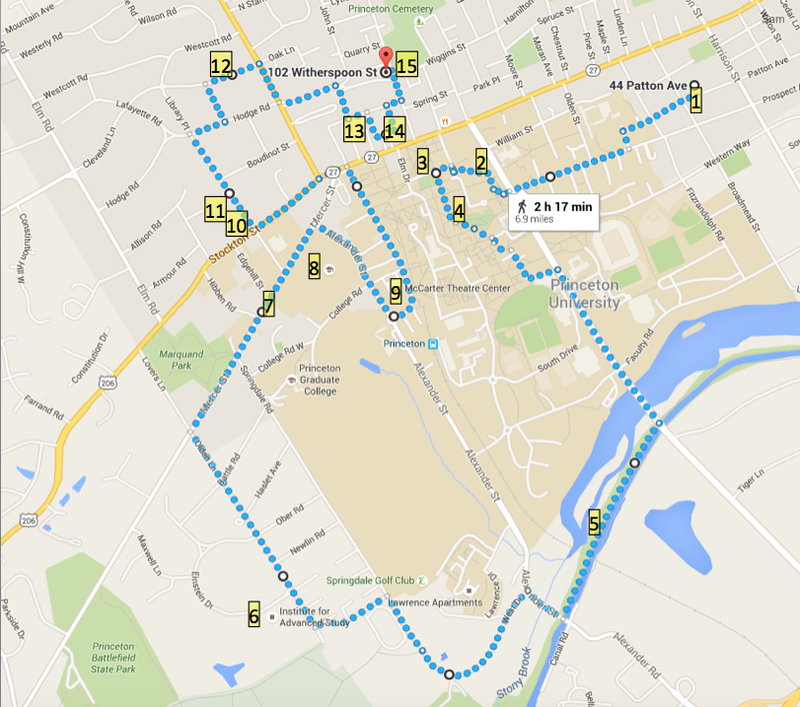 We present below a map showing a walking tour that links the sites. To do the ‘Michael Graves Walking Tour’, start at his former home, ‘The Warehouse’ on Patton Ave. (Street parking available.) Then head west toward Princeton University campus. The walk subsequently swings south, to take in the D&R canal towpath, which Graves described as “one of my favorite places to visit any time of year.” After that, it’s via the Institute of Advanced Study and the Einstein House on Mercer Street to McCarter Theater, then on to Woodrow Wilson’s 3 former homes in the Western Section before finishing up around Palmer Square. The full tour is 6.9 miles, and will take about 2 1/2 hours to complete. You can download a print-able version here. The full list of stops are as below. For the full addresses and Michael Graves’s descriptions of each site, please see the original article at the Washington Post website. Note that Graves also included Terhune Orchards on his list of essential sites (not shown on map), but it is outside of town so including it would have made for a very long walk. Graves also mentioned a bunch of local businesses that he liked. Check them out! This entry was posted in architecture, People, Princeton, Walking and tagged architecture, michael graves, post-modernism, Princeton, Walking. Bookmark the permalink.